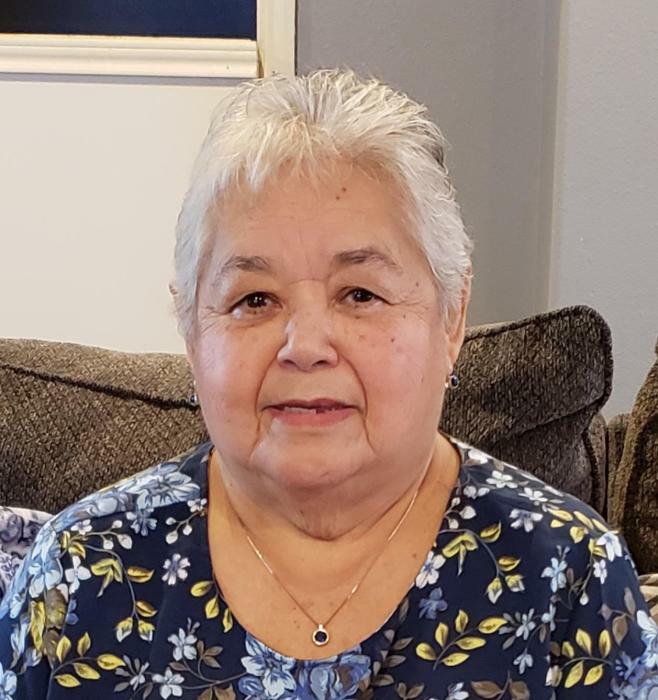 Elia Margarita Urbina, age 75, passed away Wednesday, February 13, 2019 at Mainland Medical Center Hospital. She was born in Montemorelos N.L., Mexico on December 17, 1943. She moved to Galveston during her teenage years. Her hobbies and passions were dancing, bingo, playing sports and traveling. But her greatest loves were her God, her Catholic faith and her family. She was a loving mother, grandmother, great-grandmother, sister, aunt and friend. She was preceded in death by her parents Eduardo and Concepcion Vasquez; and her husband Anastacio Urbina, Sr, who she was married to for 58 years. She is survived by her children: Dora Calderon and husband Trinidad, Sandra Martin and husband Randall, Oscar Urbina and wife Andrea, Anastacio Urbina, Jr and wife Brandy, Elsa Atkinson and husband Todd, George Urbina and Cesar Urbina and wife Marina; numerous grandchildren and great-grandchildren; siblings: Maria Estella Ochoa, Eduardo Vasquez, Jr., Robert Vasquez, Maria Gutierrez, Rosalinda Ochoa, Delores Ortiz, Joe Vasquez and Nora Garcia; and numerous other relatives and friends. Pallbearers will be Trinidad Calderon III, Michael Mahoney, Oscar Urbina Jr, Raymond Gonzales, George Urbina Jr, Cesar Urbina Jr, Jonathan Urbina, Andrew Calderon and Christopher Calderon. Honorary pallbearers will be Asseneth Andrea Moreno, Cristian Urbina and Anna Urbina. Visitation will be held at J. Levy & Termini Funeral Home on Saturday, February 16, 2019 from 11:30 A.M. to 1:30 P.M., with a Rosary beginning at 1:30 P.M. Funeral services will begin at 2:00 P.M., with Deacon Sam Dell’Olio officiating. Interment will follow at La Marque Cemetery, 1709 South Oak Street, La Marque, Texas 77568. The family would like to extend a special thanks to the Texas City Fire Department and Mainland Center Hospital E.R. and ICU Staff, Halen Titus, RN, and a special thanks to Gino Yglesias and Fidencio Leija Jr., Matt Brandon, Father John, Pastor Jesse Garcia and special friend Elsa Vasquez for their kindness and compassion during this difficult time.